Adry initiates her career as a painter being 4 years old by receiving her first prize in an infantile painting contest. Since then, she has accumulated the great sum of 63 prizes, 29 prizes in a local level, 11 prizes at a national level and additionally 23 international level prizes. With the prizes, economic rewards came such as materials to continue developing her painting work as well as scholarships that allowed her strengthening her career and commitment to her great artistic passion, painting. At the age of 11, she organizes her first individual exhibition, having to current date 53 individual presentations and 90 collectively presented in various cities of Mexico also the United States, Cuba, and Spain. Her approach to street painting is without a doubt her first outstanding participation in one festival in 2008. Ever since, she has been invited to exhibit her art in many other festivals in more 20 different countries, USA, Canada, Colombia, Brasil, Italy, Holland, Germany, Austria, Bulgaria, France, England, Russia, Sweden, Thailand, China, United Arab Emirates, Latvia, Denmark, Israel and in many states of her country, Mexico. 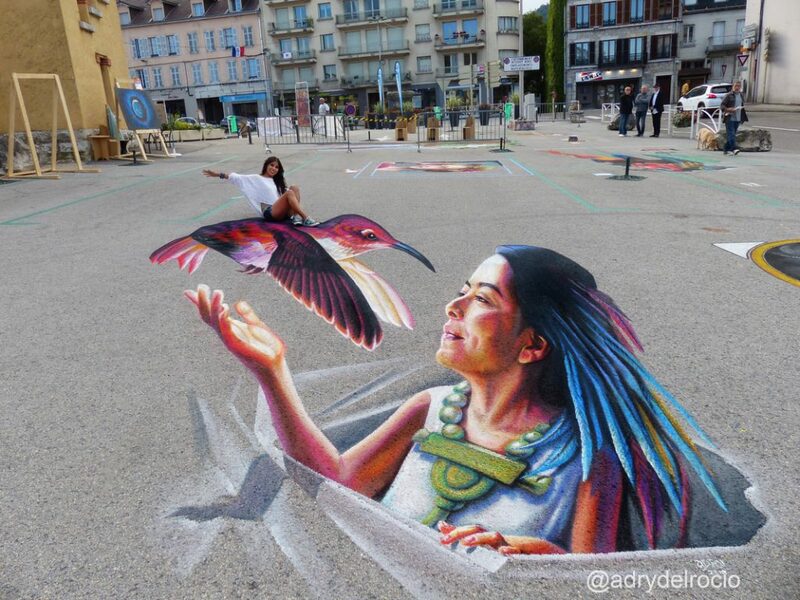 In 2014 she became Maestra Madonnara, the official title in the most traditional street painting contest from Italy.